Gerd Hatje, the influential publisher of numerous art and photography books has died aged 92. Hatje was born in Hamburg in 1915. After an apprenticeship as a typesetter in Stuttgart, he started the Humanitas Verlag (publishing house) when he was thirty. The publishing house was renamed Verlag Gerd Hatje in 1947. His varied interests were reflected in his publishing program; in addition to classics and contemporary literature, he also produced books on jazz. One of his earliest publications was a catalogue for a Max Beckmann exhibition and an edition of the German classic The Book of Le Grand by Heinrich Heine. In 1990, at the age of 75, Gerd Hatje sold his publishing house to the Dr. Cantz’sche Druckerei, the renowned Stuttgart-based printer of art books. In the beginning, the publishing division Edition Cantz and Verlag Gerd Hatje continued to work independently, but under the management of Annette Kulenkampff the two companies merged as Hatje Cantz in 1999. In the new company, now based in Ostfildern, near Stuttgart, Senior Publisher Gerd Hatje continued his daily routine until almost the very end, coming into the office every day and keeping up on trends in contemporary art. 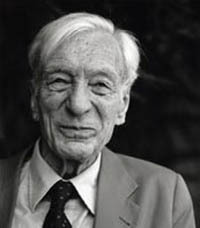 He received many awards for his achievements, including the Medal of Outstanding Merit from the German state of Baden-Württemberg, and was appointed Honorary Senator of the Stuttgart Academy of Arts. Annette Kulenkampff, who has been director for over ten years, and her team will continue publishing in the tradition of Gerd Hatje.